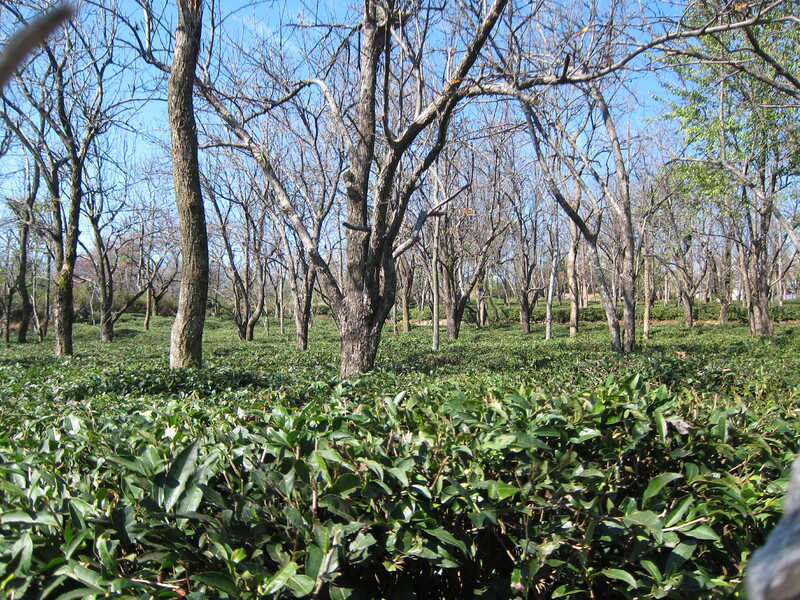 For me, one of the benefits of being a tea tourist is that tea is grown in places I enjoy visiting. 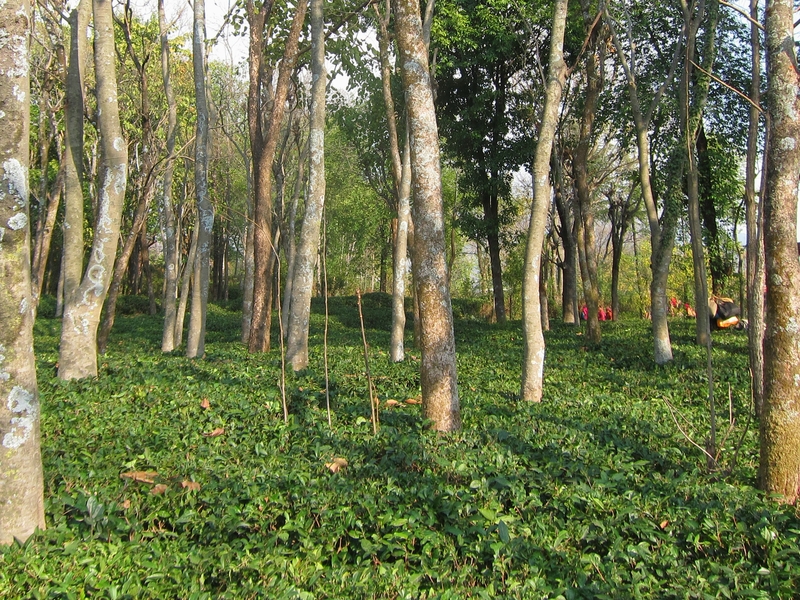 Happily, some of the best tea is grown in mountainous highlands. The village of Bir, in the Kangra region of Himachal Pradesh, is at an altitude of 1500 meters and is surrounded by tea gardens. 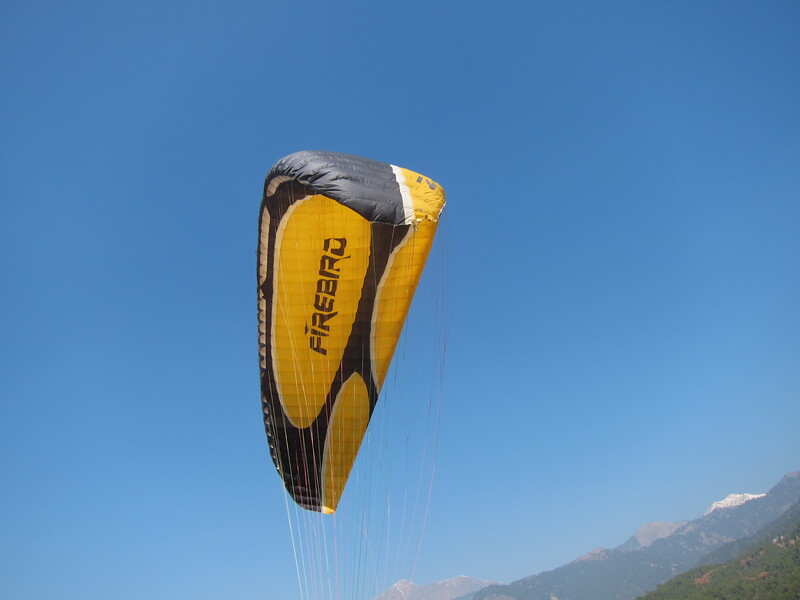 It is also the home of a major Tibetan settlement, and nearby Billing is a world-famous takeoff point for paragliding. 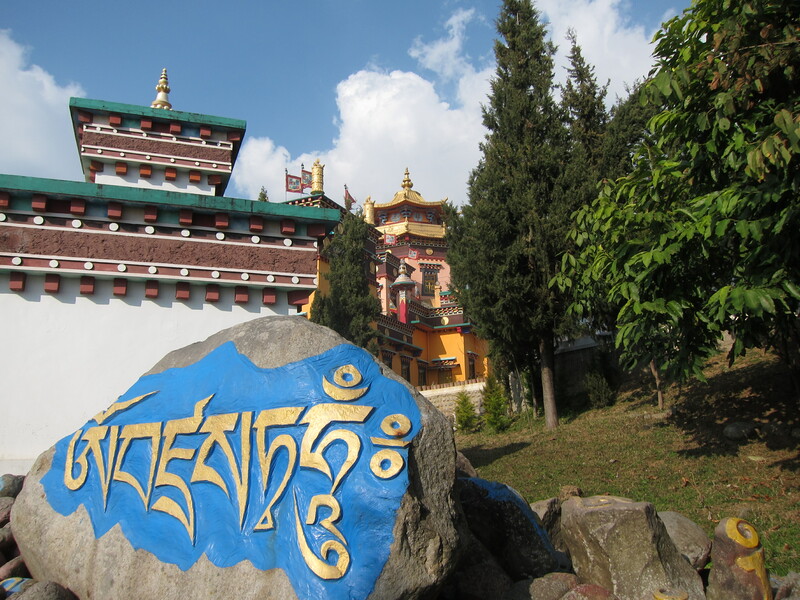 As I had some time off for the Losar (Tibetan New Year) holiday, I spent several days exploring Bir. 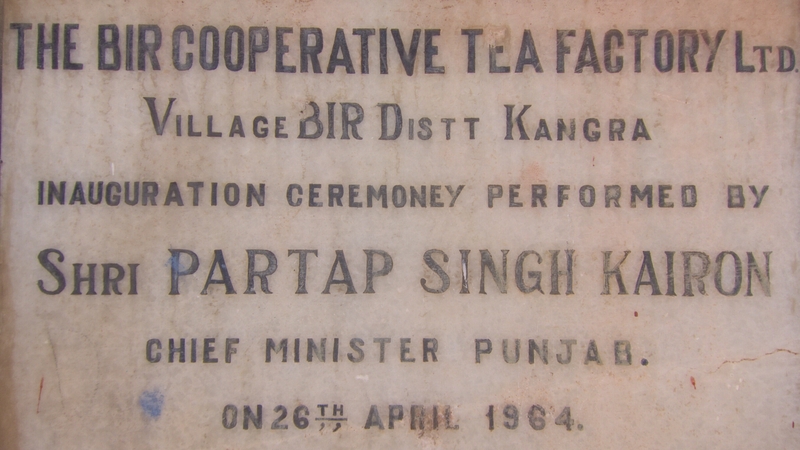 In the middle of some tea gardens I found the Bir Cooperative Tea Factory (sister to the Palampur Cooperative). Things looked pretty quiet at the factory, since the plucking season would not start for another month. Wandering around I found a side door that opened into an office where a lamp was burning, but my calls of “hello, namaste!” went unheeded. 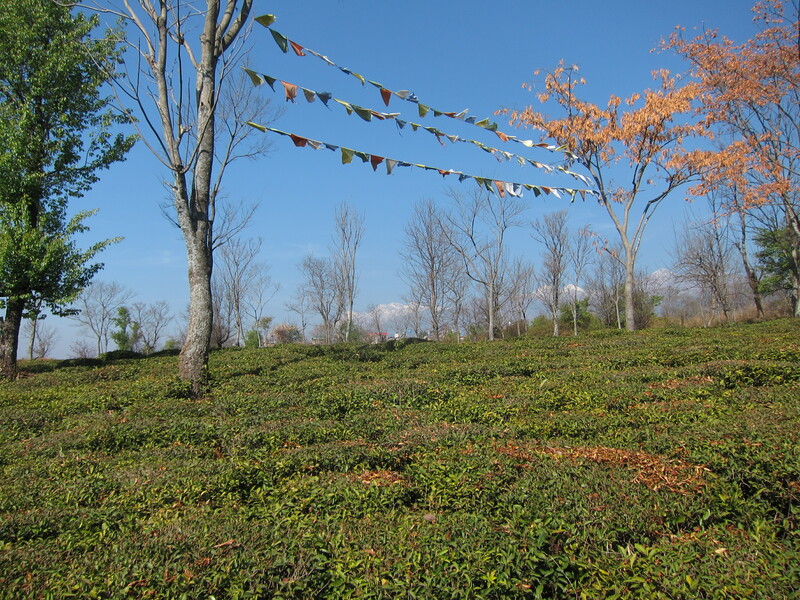 A stroll through the tea gardens: Tibetan prayer flags flapping in the wind, and the Dhauladhar mountain range of the outer Himalayas in the background. Notice the women tea workers on the right, wearing red. They are trimming the bushes to prepare them for the plucking season. 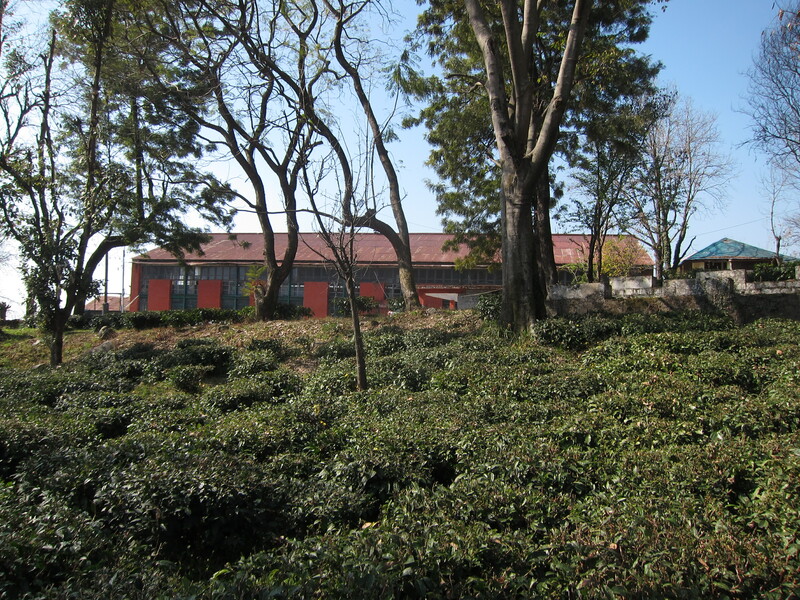 My hotel itself was surrounded by a tea garden. I had my morning Kangra tea while looking out the window of my room, and just meters away some Kangra tea bushes quietly stared back at me. 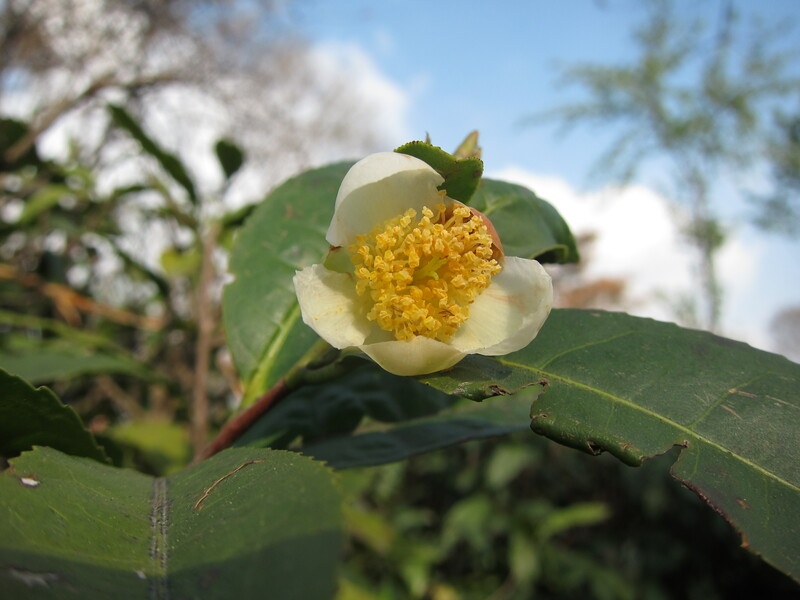 I spent hours walking on the many trails passing through the tea gardens and I even managed to find a few tea flowers, looking small and forlorn on the bushes which were otherwise dormant. 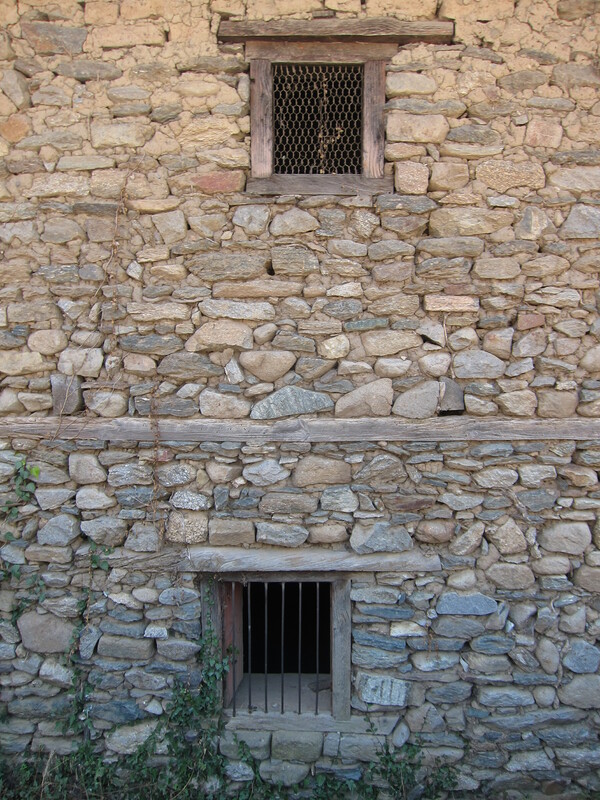 Well-crafted wall of a barn in Upper Bir. Sounds like it was beautiful and peaceful! Beautiful pictures! Glad you are able to enjoy it and share it with us as well! Jyotsna and Mythri -thank you for the kind comments!